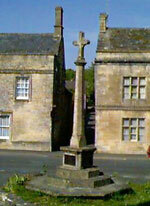 Two War Memorials Exist: A stone memorial in the market place and a plaque in the Church of St. Peter & St. Paul, Northleach, Gloucestershire, UK. 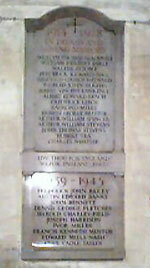 Inscription on Memorial plaque in the Church. LIVE THOU FOR ENGLAND, WE, FOR ENGLAND, DIED. Information and photographs provided by Glen Hicks.